Those were the words on the pillow I was to use for my beauty sleep. Surprised? 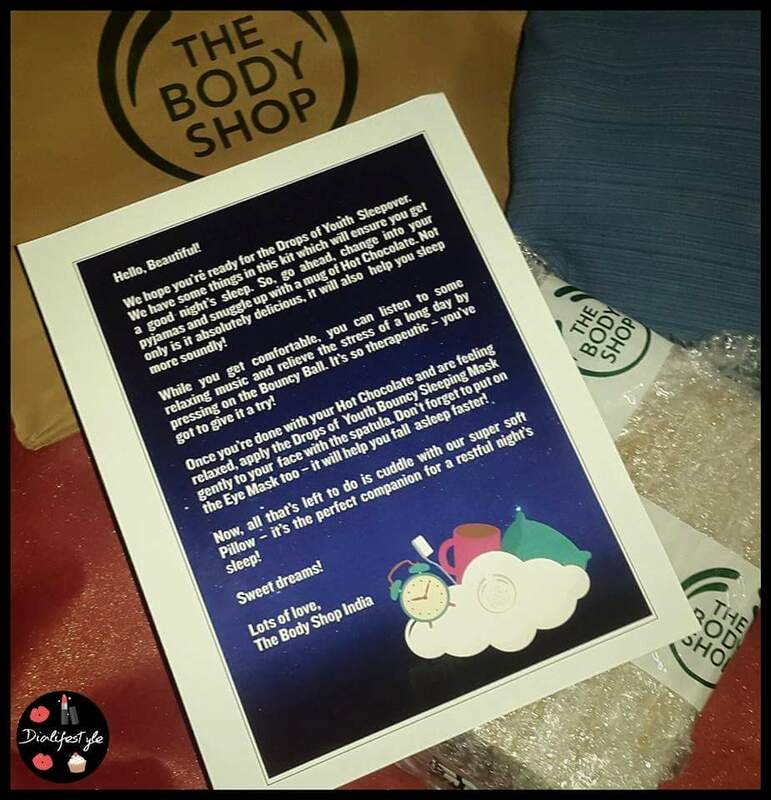 If you have been following me on Facebook, Twitter or Instagram, you would know of the surprise fun sleepover by The Body Shop. One fine evening, a big mystery box arrived on my doorstep with a letter to build up the suspense. I was asked to open it on a set day and unravel the mystery. Out came the contents which together constituted the most beautiful sleepover kit ever. I was to try their new product the Drops of Youth Bouncy Sleeping Mask. The Body Shop made sure that one sleepover was rejuvenating enough to have my skin renewed overnight. 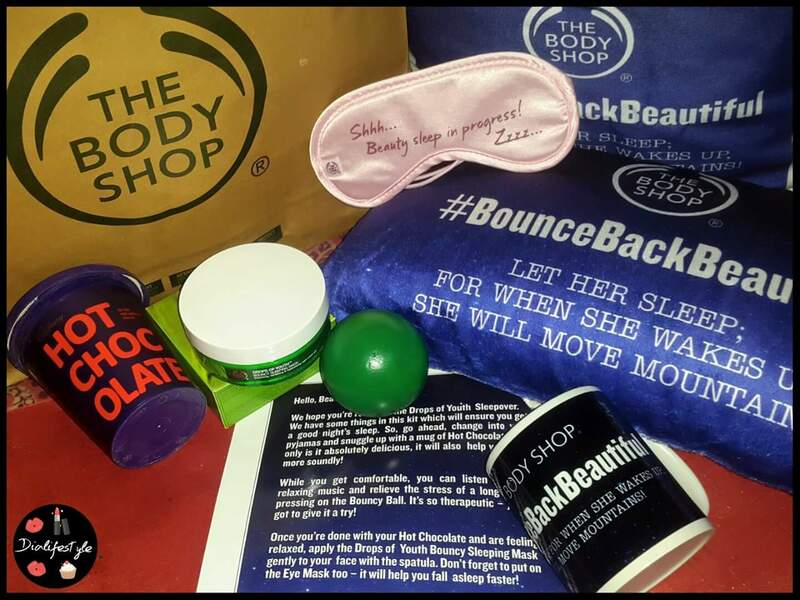 The kit contained everything, from a pillow and a eye mask, a mug and chocolate powder and a bounce ball for ultimate stress relief. So as per the instructions in the letter, I changed into my comfiest night dress put on some music, sipped onto the chocolate and let my nerves relax. Then I put on the mask, wore my eye mask and drifted off to dreamland hugging the pillow. The next day: The mask had magically soaked in and my skin felt supple and fresh. It was an integrated effect of the mask and the oh-so-peaceful sleep induced by it. The Drops of Youth Bouncy Sleeping Mask is enriched with Edelweiss stem cells. Designed to be left on overnight, it leaves skin looking bouncier and feeling replenished. I have been using this since the last 11 days, every three days. 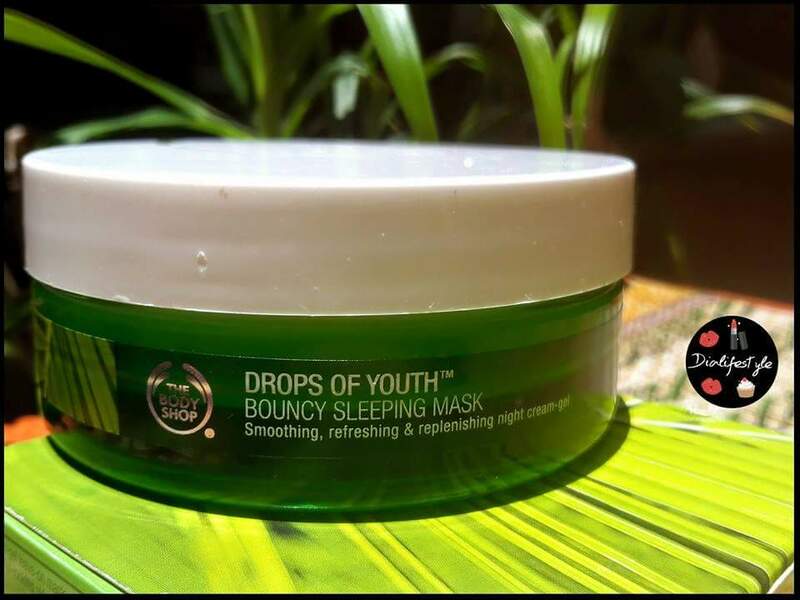 This mask has the same basic ingredient as the Drops of Youth Power Duo (Read Review). The first time I used it, I was not sure about the amount and probably over-applied it. Next time onwards I learnt the amount. The mask comes with a spatula and a generous spatula – full of mask is enough for the face and neck. Though it looks like a gel, it is slightly sticky on application. 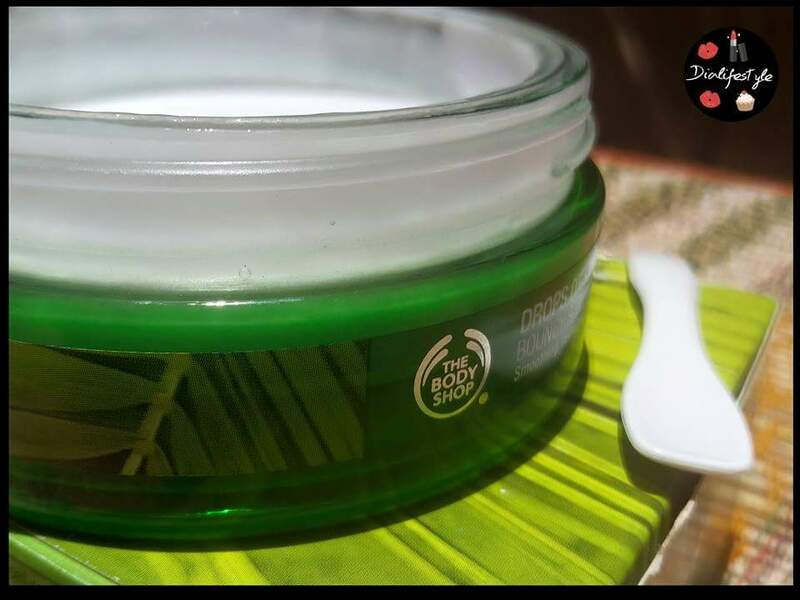 The product feels extremely cool on the skin and helps to relax. On using the right amount, the mask seeps into the skin overnight with minimum remnants on skin. After washing the face in the morning, my skin felt supple. The biggest proof that it helps renew skin is that it helps dry my acne overnight. 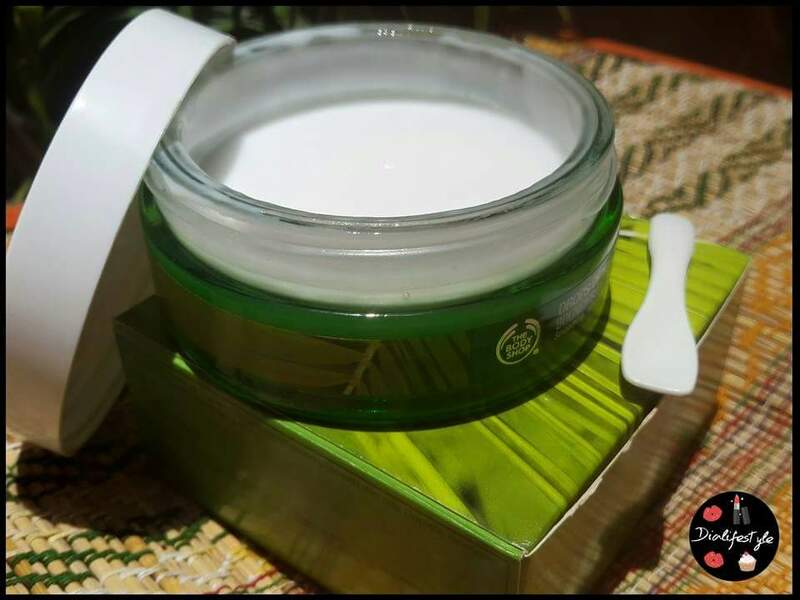 The mask is packaged in a glass jar and comes with a small spatula. A 90 ml pack is priced at 2295 INR. The mask feels slightly runny and sticky. On application it sticks like a gel. 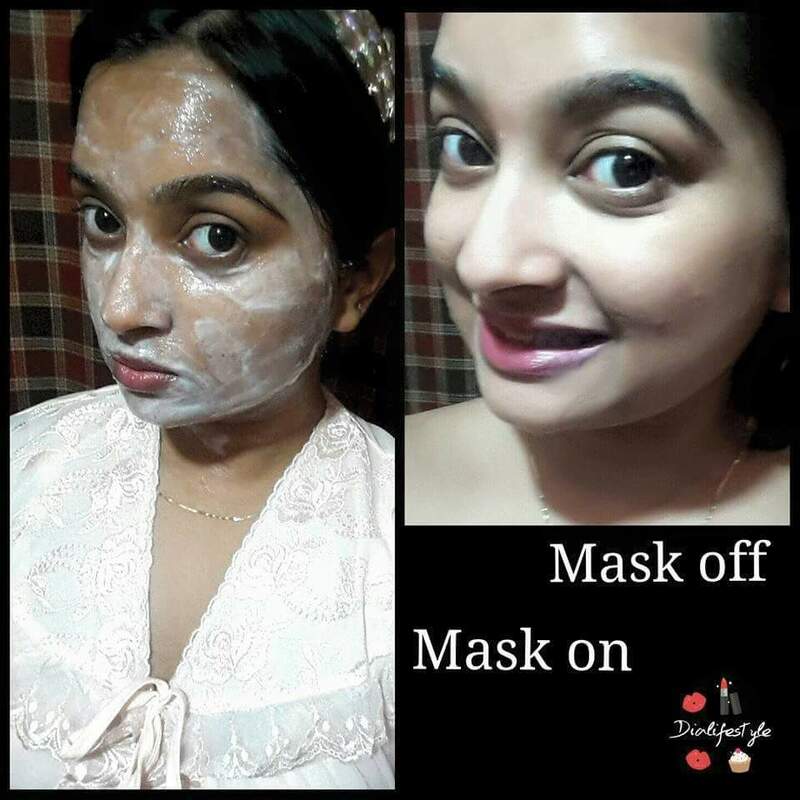 The mask feels cool on the skin and unlike regular masks does not dry on the skin. It smells similar to the Drops of Youth Power Duo, which is slightly herbal. But the smell wears off after sometime. 1. The mask gets fully absorbed in the skin through the night. 3. Skin feels fresh and supple. 4. Has a soothing effect to te skin, helps one sleep better. 1. The glass jar packaging makes it extremely travel unfriendly. Also there is a risk of dirtying the product. They could have an alternative tube packaging instead. Do share your experience with the Bouncy Sleeping Mask. wow! this looks like something I totally need right now! I really would love to read about your experience! Could you please share the link to your post?